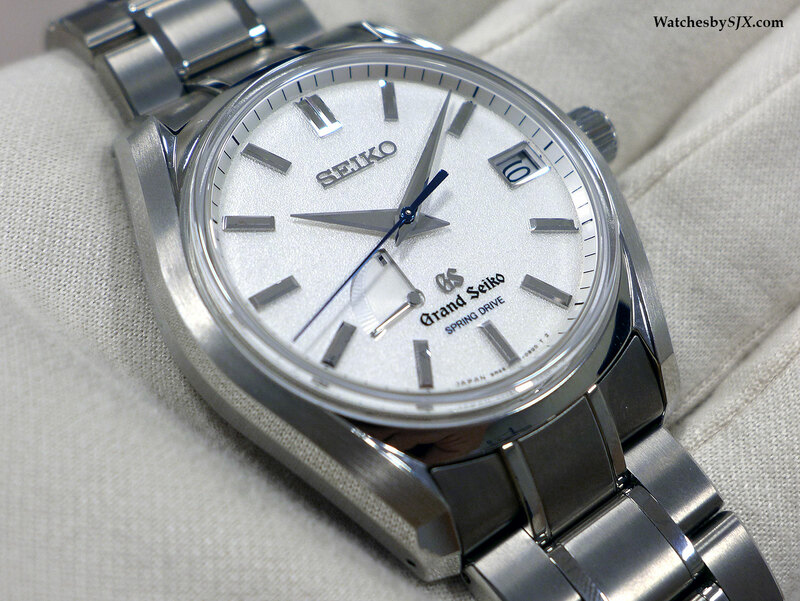 Seiko took inspiration from the 62GS of 1967 for a quartet of Grand Seiko watches, styled as “modern re-interpretations” of a classic. 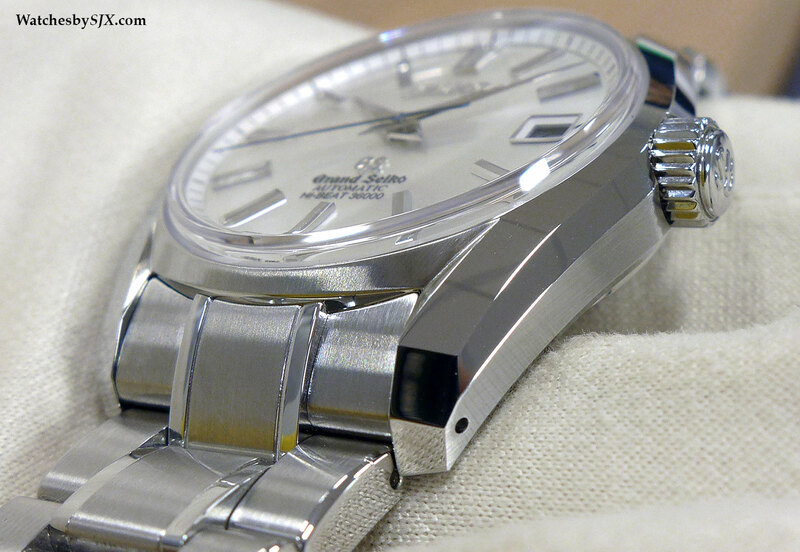 Made in a limited edition, the watches are equipped with Hi-Beat automatic and Spring Drive movements. 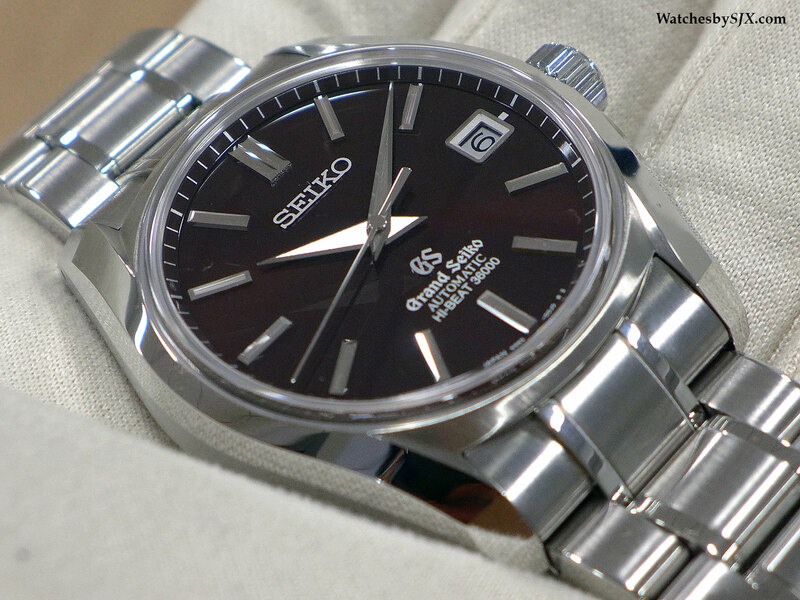 For several years now Seiko has looked to a vintage Grand Seiko watch as the basis for a new line-up, most notably with the 44GS in 2013 and the 57GS “Self-Dater” last year. 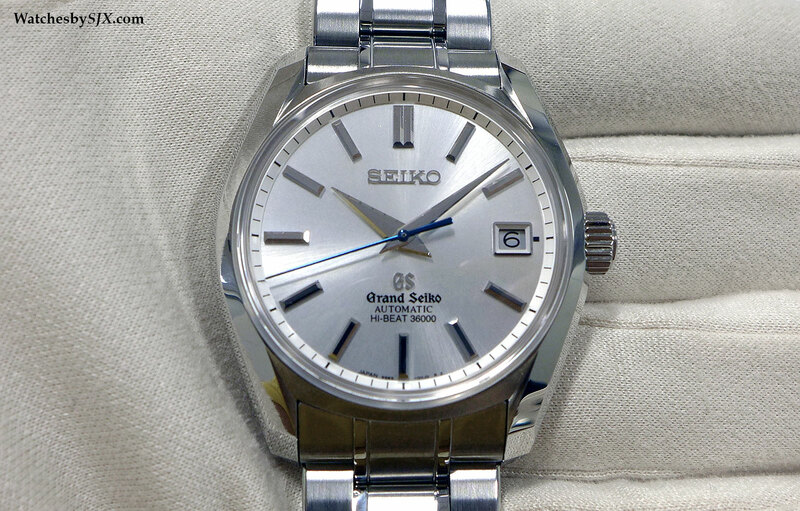 At Baselworld 2015 Seiko unveiled the 62GS reissue, a spot-on replica of the first automatic Grand Seiko from 1967. 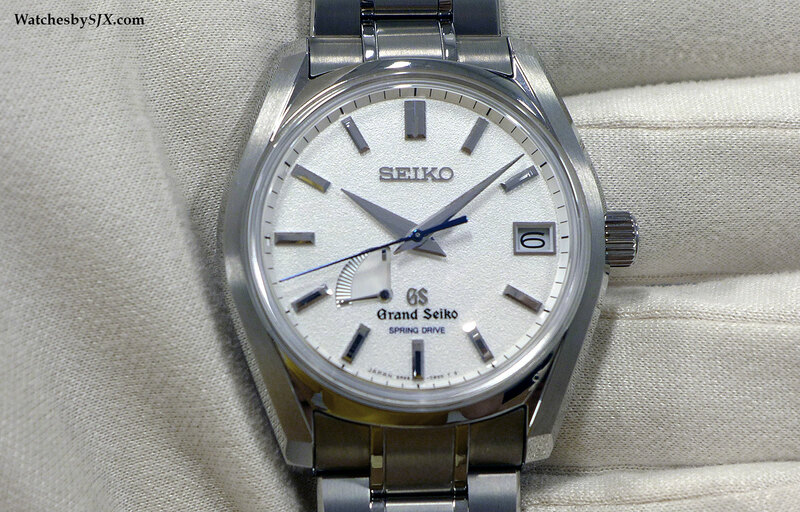 Alongside the Grand Seiko Historical Collection remake, Seiko also introduced four 62GS “modern re-interpretation” watches, featuring cases that are modelled on the original 62GS, but with contemporary dial styles and bracelets. Four 62GS limited editions are available, with two equipped with Spring Drive movements and high frequency 36,000 bph mechanical movements in the other pair. The watch cases are modelled on the 62GS, with distinctive faceted lugs and a crystal that sits on the case itself, with no bezel. 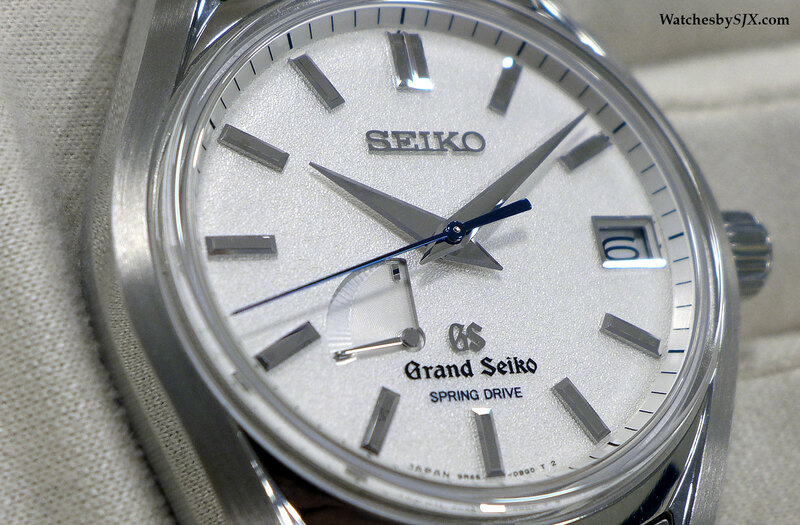 The Spring Drive models have titanium cases made of Seiko’s own proprietary Bright Titanium alloy. This metal has a lighter tone than the usual medium grey of titanium, and more importantly, can be polished to a mirror-like finish, giving it a lustrous finish not found on other titanium watches. 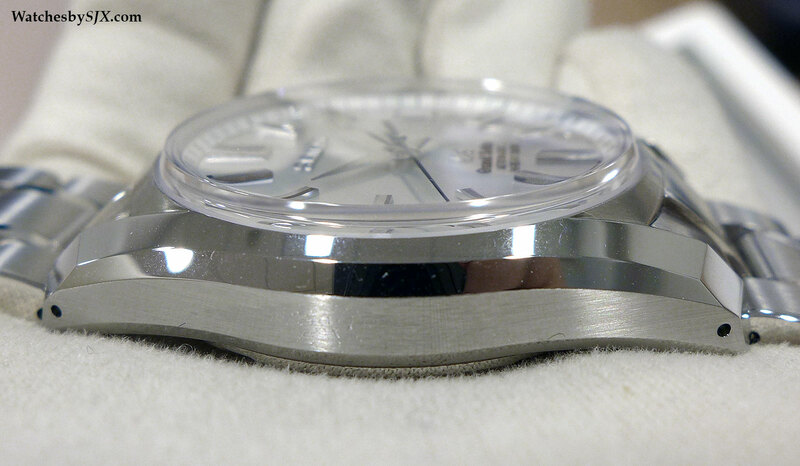 Case dimensions are 40 mm wide and 12.8 mm high, with a bracelet in the same titanium alloy. Inside is the 9R65 movement, based on Seiko’s Spring Drive technology that uses an electronically controlled electromagnet to regulate the oscillator (a flywheel that spins in one direction). The regulator is the only electronic component of the watch, the rest is entirely mechanical, including the barrel, gear train and setting mechanism. The first model is the SBGA125 which has a finely grained white dial, matched with blued steel seconds and power reserve hands. This is limited to 1000 pieces. 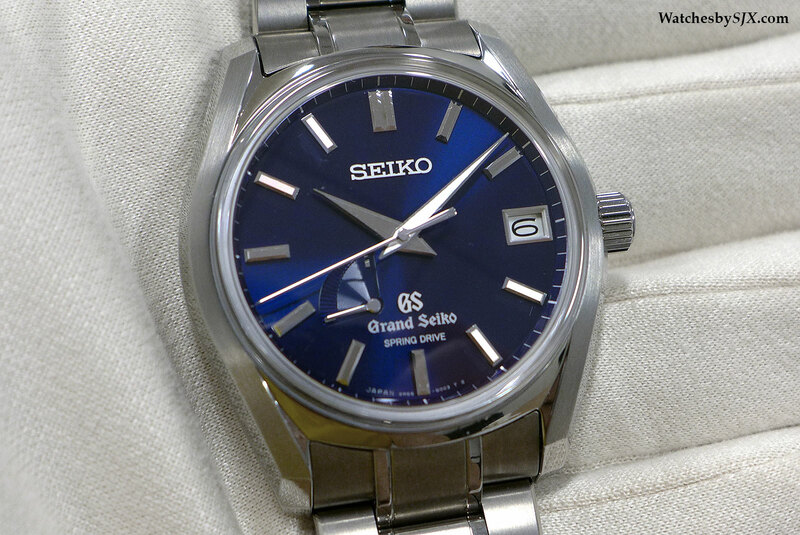 Limited to 700 pieces is the SBGA127, fitted with an extraordinarily deep blue dial with a bright, glossy finish. 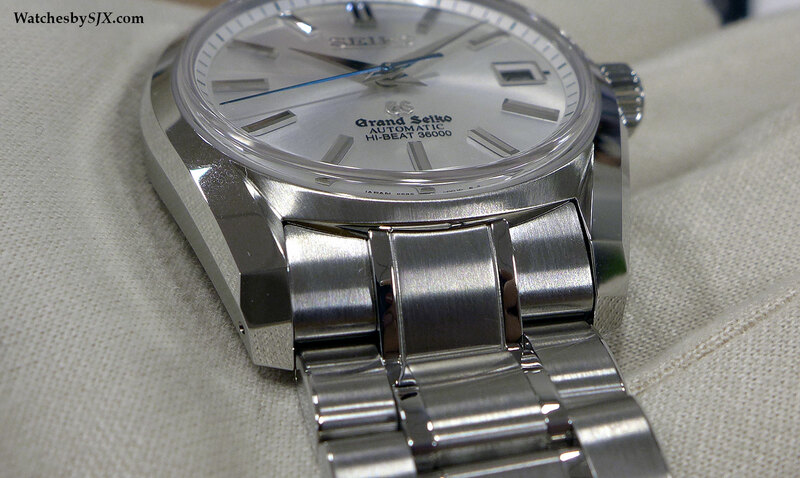 The self-winding 62GS watches are both in steel, with matching steel bracelets. Dimensions are almost identical to the Spring Drive models, with case diameter of 40 mm and height of 12.9 mm. 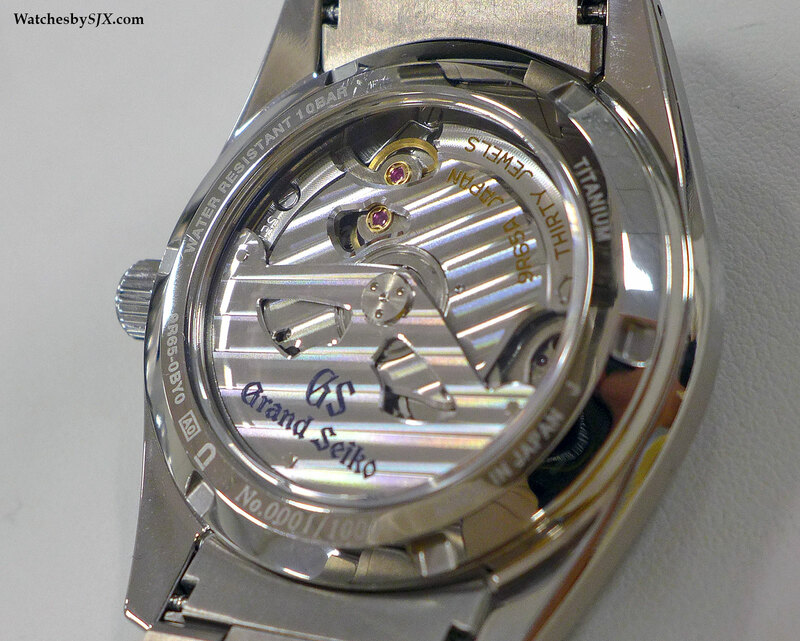 The movement inside is the 9S85, an automatic movement with the balance wheel beating at 36,000 bph. 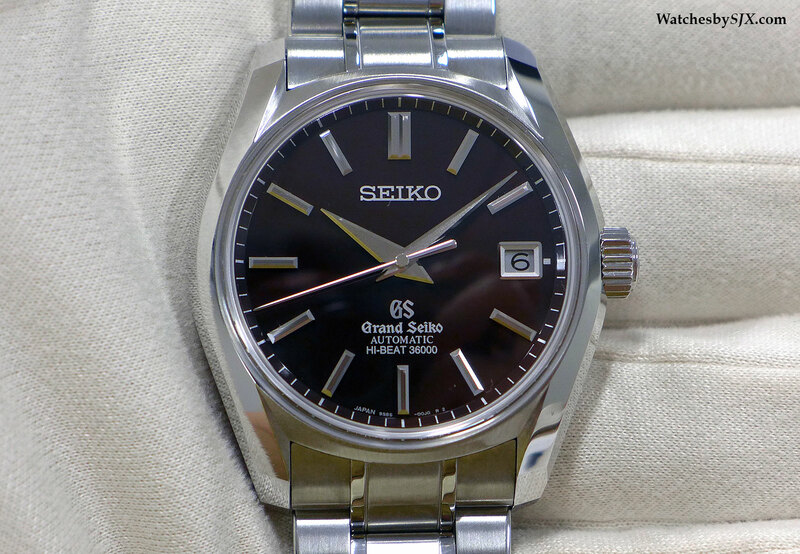 These have a power reserve of 55 hours, and are also equipped with the skeletonised escape wheel and pallet fork (making them lighter and more precisely shaped) found only on the top of the line Grand Seiko movements. 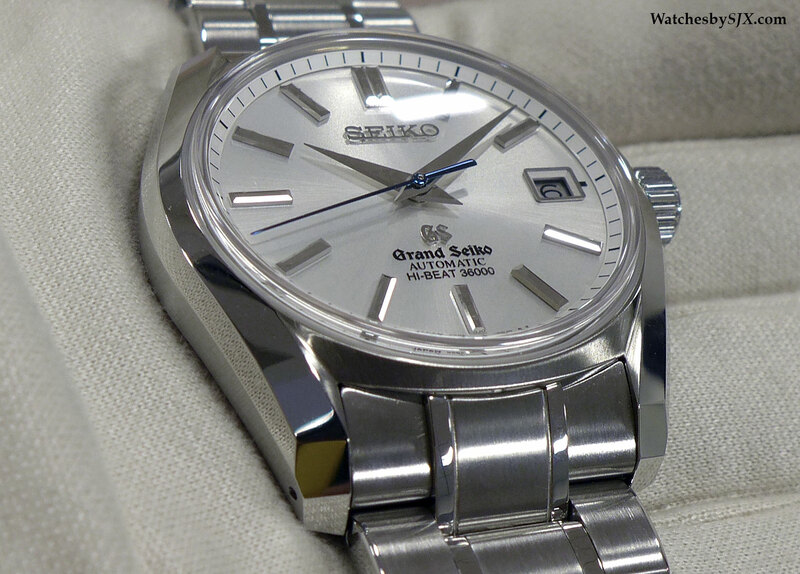 The SBGH037 has a silver dial with a blued steel seconds hand, and is limited to 1000 pieces. 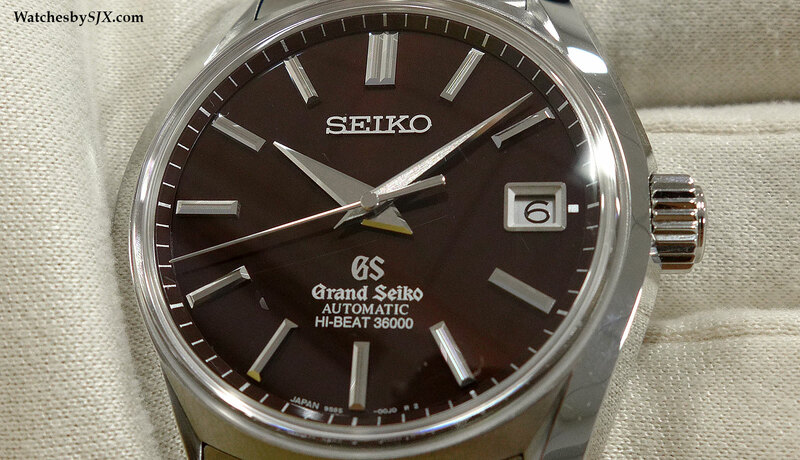 The SBGH039 has a rich brown dial (chestnut perhaps?) that appears nearly black at certain angles, but reveals its colour in the right light. This is limited to 700 pieces. All four of the 62GS modern re-interpretation watches (both Spring Drive and Hi-Beat 36,000) are priced at €5900.